I’m not sure if you’ve noticed, but there probably hasn’t been a whole lot of “me” showing up in the blog lately. Sure, I’ve been sharing recipes, might have talked about the weather or the Farmer’s Market a few times, but I’ve been pretty guarded about what I share. Yes, I’ve mentioned the divorce, and all the moving I’ve done in the past year, but there’s been something else going on with me lately. I’ve changed my diet pretty drastically in the last few months while trying to get some health issues ironed out; it turns out that getting healthy can take a lot of time and focus. I’ve been going through the motions of posting recipes and keeping the blog updated, but I don’t feel like I’ve been present in my writing (or photography, for that matter). It’s time to change that. I’m feeling fantastic, eating better meals than ever, and as an added bonus, steadily losing weight. I’m ready to share it all with you. I’ll be writing a more in-depth post soon about what changes I’ve made and why, but I thought I’d give you a brief overview of what I’m eating and not eating right now. The main problem I’ve been trying to correct (and now have, quite successfully) is reactive hypoglycemia. While most people experience low blood sugar occasionally, I’ve been struggling for several years with a much more extreme case. Crazy (really crazy) mood swings, shakiness, trembling, confusion, and sometimes slurred speech a couple hours after eating, anxiety, depression, suicidal thoughts, extreme sensitivity to noises and smells, problems sleeping, and the list goes on and on. Basically, I’ve been a basket case for the last 6 or 7 years, although have managed to hide it fairly well from anyone not living with me or spending long periods of time with me. Over the last few years, I read a bunch of books, talked to my doctor (who wasn’t much help other than to say, “yep, sounds like hypoglycemia”) and tried different hypoglycemia diets. Although I always noticed an improvement in the more drastic symptoms when I was careful about what I ate, exercised regularly, and made sure to snack every couple of hours, I never got back to what felt like “normal.” To keep symptoms under control I had to literally time my meals and snacks (I had alarms set on my phone for every 2 hours) to keep from going more than two hours without eating. It sucked. Long story short, a few months back I stumbled onto some reading about low carb dieting. The more I read about the different diets and learned about insulin control, the more I realized that in my previous attempts at a hypoglycemia diet, I had been doing it all wrong. I had never focused on cutting out carbohydrates, I had only focused on eliminating the refined ones. I just couldn’t believe that my beloved whole grains, beans, and fruits could in any way be causing these horrendous problems. Caffeine and alcohol were also culprits, but that’s a whole other story for another day. I finally ended up at The Atkins Diet. I had always been one of those people who wholeheartedly believed that there was NO WAY Atkins could be a healthy diet. The truth is, I knew nothing about it. Nothing. I had never bothered to read about it or even listen to anyone who believed in it. All I knew is what I had heard repeated from other non-believers: a diet that lets you eat unlimited bacon but restricts fruit must be unhealthy! But once I opened my mind to the idea that cutting almost all carbohydrates out of my diet would eliminate the blood sugar spikes and the subsequent abnormal lows that were ruining my life, I knew I had to seriously rethink my diet. I spent a few weeks reading more about the low carb thing and learning about all the different diets out there: Atkins, South Beach, Paleo, Primal, the list goes on and on. They are all variations on the same general theme, but with varying allowances of carbohydrate intake. Most of them have tried to somewhat distance themselves from Atkins since that diet had such a bad rap for so long, but really, it’s all the same thing. And believe it or not, Atkins was right about a lot of things. I’ll talk about that more later as well. After all my research, I was back to Atkins. It really did sound like it could be the answer to my problems. So the next step was to accept the fact that I would have to give up bread. Not only bread, but pretty much ALL baked goods, all traditional desserts, potatoes (french fries! )… did I mention bread? It was hard to wrap my head around it all. I guess I have probably been wrestling with all of this in the back of my head for a while, because I’m sure I must have conveniently skipped over much of this information in my past research about hypoglycemia. It’s amazing how your mind will let you believe what you really want to believe, even when faced with facts that contradict what it is you’re holding on to. I’m a baker. I’ve always been a baker. My mom was a baker. It’s in my blood! I’m a food blogger. How am I supposed to keep blogging without talking about desserts or baked goods? That’s what people expect from me! How on earth am I supposed to just let all of it go? What about birthday cake? Can I not celebrate birthdays now? What about Christmas? Thanksgiving!? All of these thoughts raced through my head over and over. Then one day, it stopped. I realized something. I am so much more than a baker and a blogger. Holidays and birthdays are more than just cookies and cake and ice cream. There are so many things I want to do in this life. I want to feel good again. I want to enjoy spending time with my friends and family. I want to feel good again. I want to travel, take pictures, write, explore this city, this state, this incredible world we live in. It was all so clear. I could say goodbye to sugar, to bread, to my pantry overflowing with grains and beans and baking supplies. I could say goodbye to all of that if it meant that I could have one day, one week, one year of feeling good again. I actually eased into it pretty slow. I started eliminating things slowly, beginning with sweets. Just like before, I noticed an improvement as I eliminated the bad carbs, but I was still hungry all the time and needing to eat every two hours to control my blood sugar. I got to the point where I had eliminated pretty much everything but a single slice of homemade whole wheat toast and coffee in the morning. I felt much better, but was still having problems of feeling shaky and hungry every two hours. The bread and coffee had to go, too. Finally, on Mardi Gras, I started Atkins. Like the real deal Atkins induction – no more than 20 grams of net carbs a day. From the first day, I felt like a new person. No hunger, no shaking, no mood swings. It was like a miracle. My only carbohydrate intake was from vegetables, which I made sure I was eating. I stopped worrying about fat and and gave myself permission to eat as much as I wanted of whatever I wanted, whenever I wanted. I realized I no longer had to eat on a regimented schedule because I wasn’t getting hungry and shaky every two hours. I had plenty of energy. I was finishing up the Couch-to-5K program with my friend Ruby at the time and noticed absolutely no change in my ability to jog even though I wasn’t eating many carbohydrates. Again, It felt like a miracle. And then I started losing weight. I lost 9 pounds the first month and now that I’ve been eating this way for 3 months, I’m down nearly 20 pounds. This has all been through diet. Although I was jogging a bit at the beginning with the couch-to-5K program, I stopped jogging within a couple weeks. Why? I don’t enjoy it! As much as I wanted to love it, jogging isn’t fun for me. I’m feeling so good right now, I refuse to do things that aren’t fun. I ride my bike, I walk, I lift weights sometimes, but I’m no longer exercising with the intent of losing weight (that was never fun for me). I’m exercising to feel good, and only when I feel like doing it. And yes, I actually do feel like exercising now. So now I’m 3 months in. I’m no longer following the strict Atkins plan because I don’t like counting carbohydrates. I worked my way out of induction and slowly started adding things like nuts and berries. I did it long enough to learn what my body can tolerate (not much, at this point) and now I just eat the foods that make me feel good and stay away from the ones that don’t. Now that my main goal (feeling good) has been attained, I’ve moved on to the next goal, which is to continue losing weight. I’d like to eventually lose 25-30 more pounds, but I’m not in a big hurry. The way I’m eating right now is allowing me to lose about 4-5 pounds a month and that seems good to me. I could be stricter with calories (yes, calories do count, even with low carb diets) and lose faster, but just like jogging, I decided that I hate counting calories. I’m eating in a way that’s extremely satisfying and makes my body feel good. And since I’m now eating the right things, my body is dropping the excess fat that I’ve slowly accumulated over years of eating the wrong things. Now that I know what I can eat, it’s effortless and pretty amazing. So that’s where I am. I am a baker who doesn’t bake (much), a food blogger who won’t be writing about cupcakes, a coffee fiend who has (almost) given up coffee, a beer drinker who doesn’t drink alcohol at all. A pasta fanatic who hasn’t touched pasta in 3 months. And I am the happiest I’ve ever been. Has all of this been easy? Of course not. But I mean it when I say that I feel better than I have ever felt. I will be eating this way for the rest of my life – adding certain things back in, if and when I can (I’d love to eventually eat some grains and beans, we’ll see). It’s a process. I’m learning my body as I go. Of course I will occasionally eat things that are bad for me, but I won’t ever go back to the way I was eating before. Sugar makes me feel awful now. It should, it does terrible things to our bodies. I’ll be talking much more about that in the future. As I learn more, I will be sharing more with you. My recipes are changing, but not too much. I have always believed in eating whole foods, and that’s exactly how I am eating now. I think you’ll like the way I’m eating – I love it. There are plenty of fantastic blogs out there that will provide you with the things that I’ll be leaving out. And I’m hoping that by sharing my story, I’ll inspire a few of you to find a way of eating that works best for your body – we’re all different. It feels so good to feel good. As I sat down to write this, I wasn’t planning on sharing as much as I know have. I am still planning on writing a more in-depth post about why this way of eating is working for me and why it works so well for so many people. I hope you’ll stay tuned. But for now I really just want to share these crunchy and delicious cheese crisps! 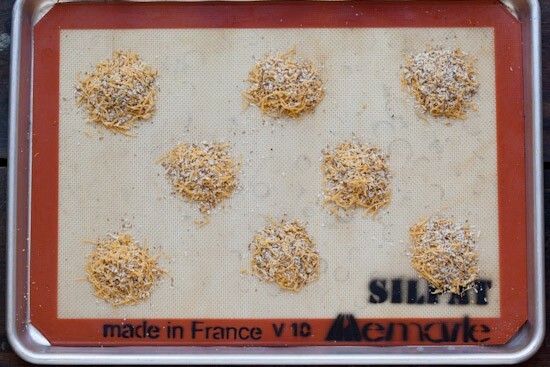 I think most of you have probably made Parmesan crisps before, but these are something new and exciting for me – the one person in the world who didn’t know how simple it was to make a cracker out of cheese. 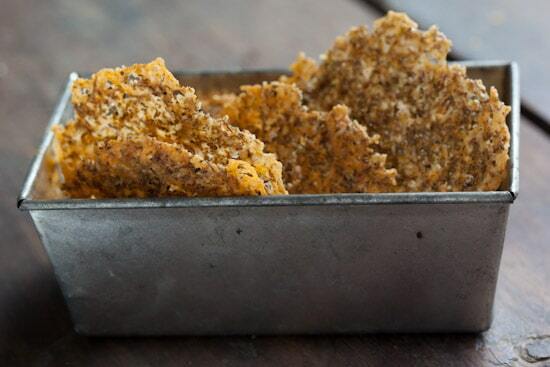 Of course I used my favorite Parmigiano Reggiano for these crisps – I use it in everything! I buy big blocks of the stuff at Costco, so I never run out. I decided to add some extra flavor to my crisps by sprinkling in some McCormick Gourmet Italian Seasoning. I like to put it in my hands and crush it with my palms before adding it to anything. The herbs blend in better and my hands smell terrific afterward. 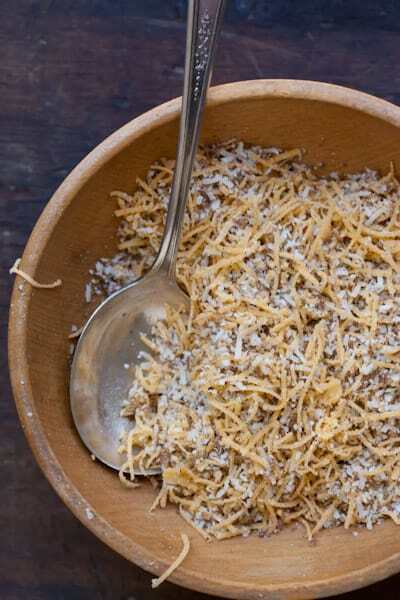 Although most Parmesan Crisps are made with just Parmesan, I decided to experiment with some extra ingredients. 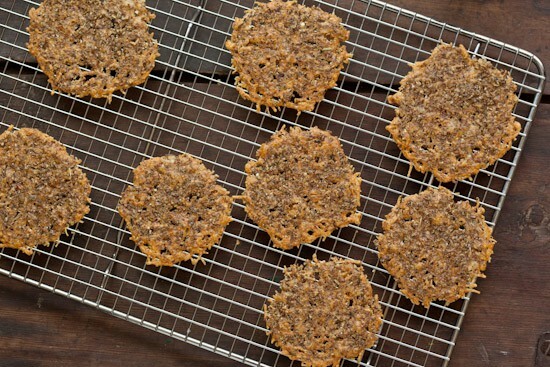 I added ground flax seed to add some texture and a nutty flavor and shredded sharp yellow cheddar for color and flavor. This recipe is so simple. 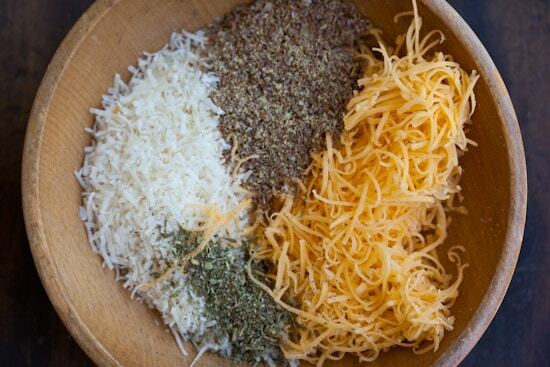 You just stir up the four ingredients and make sure the flax seed is evenly distributed throughout the cheese mixture. 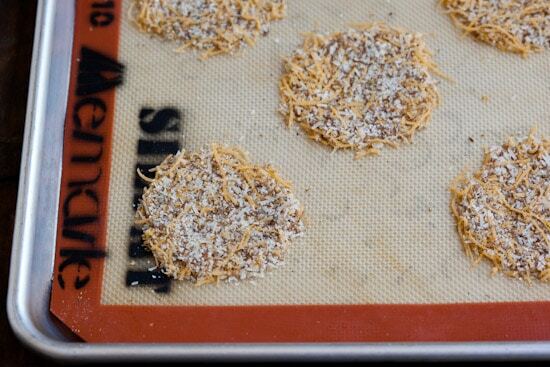 Next you just drop little piles of the cheese mixture on a Silpat- or parchment-lined baking sheet. Pat the piles down like little pancakes. Then bake them for about 10 minutes. After cooling on the pan for a few minutes, slide the crisps onto a cooling rack. They will be ready to eat as soon as they cool. These are fantastic eaten as crackers or they can garnish soups and salads. They are absolutely packed with flavor! I have been chosen by McCormick to participate in the McCormick Real Gourmets program. I have been paid by them and I received a big box full of McCormick Gourmet spices. 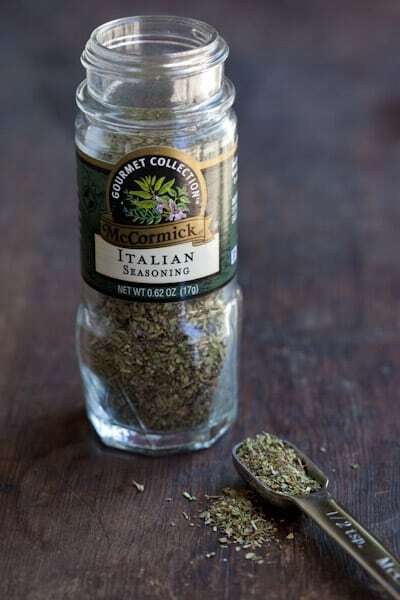 I have been using McCormick Gourmet for years, and am thrilled for the opportunity to explore more of their spices and blends. I used McCormick Gourmet Italian Seasoning to create these Herbed Cheddar Parmesan Crips. Preheat oven to 350 degrees. Mix all ingredients together in a small bowl. Using a tablespoon, drop 8 small piles of the mixture onto a Silpat- or parchment-lined baking sheet, making sure they are evenly spaced. Bake at 350 degrees for 9 -10 minutes, or until lightly browned. Let cool on pan for 5 – 10 minutes then slide the crisps onto a cooling rack. Let cool completely. Enjoy! Thanks to those of you who took the time to read my story – I’m sure it’s come as quite a shock to most of you! I’ll be sharing much more about this in the future and look forward to creating and sharing lots of new recipes that should appeal to a wide range of tastes – not just those of us who are watching our carbohydrate intake. For those who are interested in what my current meals look like, I’ve recently started sharing photos and descriptions of most meals on Facebook. I’d also be happy to answer any questions here, there, or on twitter. These are right up my ally! They sound (and look) so delicious and I would serve these with so many dishes! Thanks for sharing! Beautifully written. I'm so glad that you are feeling good again. You are a true inspiration. PS - thanks for sharing so much about your journey, I wish you the best as you continue forward! I've been following you on FB and your blog for months and months but this is the first time I've been moved to comment on your blog.First off, good for you! Sorry to hear about your troubles, but your dedication to healthy eating is completely admirable.I'm inspired by your story. I've been having troubles around sugar and carbs (potatoes and bread make me feel like crap), caffeine and other things, but it's been so so so difficult (and expensive) trying to get it all sorted out. I've been examining the paleo diet, and funny enough, dragged out my old atkins/south beach notes a few weeks ago to see if there was any key to feeling better in the food guides.All I know is that I'm tired of feeling like this, tired of avoiding foods, tired of just giving in because I *need* to eat because I'm so freakin' hunger and then feeling horrible afterward. My issues are not hypoglycemia, but rather a recent reaction (allergy?) to sugar, heartburn and a few other gastro-related issues that make mealtimes so difficult to navigate.Again, good for you, and I wish you continued success on your food journey. I will be taking stock of my eating habits once more and making some choices...(and of course, still reading your blog).Bless you! I'm a follower of paleo/primal and while I have slacked lately (especially during holiday weekends! ), I can't believe how much better I feel after cutting out all of the crap from my diet, and sounds like you are doing fantastic with Atkins, so keep it up! So glad you are doing what works for you, adding things/removing things from your life and dietary path as needed, doing what is in the interest of you feeling your BEST. That is fabulous! !I went thru massive food allergy stuff about 6-7 yrs ago. Got sick of feeling like crap every day and finally got serious about getting to the bottom of what makes me feel best. Trial and error. There are no "tests" that give you all the answers. Only trial and error and patience..which is what you're doing.Congrats...and great recipe, too! So glad you are working at getting healthy. Health is what really matters. I have a friend who ate badly for so many decades and is now paying dearly for that with bad health. She has been a living, breathing, example to me of what NOT to do.I am a huge believer in eating real food, and almost always eat organic. We eat a plant based diet with some meat. And because of the preservatives used in so many pre prepared foods, we rarely eat out except at restaurants that I know use real food.Here's to long, healthy lives! As someone who has been on the Specific Carbohydrate Diet for four years, I'm always excited to hear from others making similarly drastic changes to their diets. It's also great to hear that you're feeling better after making these modifications! Good for you! You're an example to others just by sharing your story. I can relate. And I'm sure other gluten free readers can, too. Sharing your story will no doubt help others who are struggling with health issues unnecessarily. Connecting the dots isn't easy. It's so much simpler for MDs to prescribe pills rather than address the root cause of so many problems. So glad to hear that you're feeling better! Thank you for sharing your story. I followed a low carb diet years ago and lost 40 lbs and like you, felt better than ever. Then I became pregnant and a busy mom to a special needs child and the weight piled back on and then some. I've been meaning to go back to the low carb lifestyle, and you've given me a huge incentive to do it sooner than later. I remember seeing some great baked goods recipes made with nut flours and other alternatives, there is hope for baked goods still! Can't wait to see the recipes you come up with! Thanks again! Sorry to hear you were feeling so crummy for so long but I'm very happy you've found what works for you and are feeling good. And 20 pounds down, woo hoo. I know how great that feels. I am a firm believer that different diets work for different people and it sounds like this is really working for you. I'm glad you figured out what worked and how exciting that you are on a new path! Keep up the happy! Thank you so much for sharing! I am a firm believer that the key to so many things health and happiness-related stems from diet. I wish it was easier to tell people "You might feel better if you were eating different foods..." Glad to hear that you found your solution! Best wishes for continued success and happiness! Keep on feeling good! I look forward to seeing what new recipes you have found to supplement your new life! congratulations and figuring out what your body needs, personal knowledge like that is priceless! It's amazing to me how different people's systems are and so wonderful to figure out what works for you. Looking forward to hearing more about your own journey! I've had IBS for a while (took forever to figure it out though) and the paleo diet has done wonders for me.We are going on a week long trip soon, and everyone has been asked to cook one night. The other people are making all carb heavy items (lasanga, chicken and pasta, etc) Do you have any suggestions for a good group food item that is atkins/paleo friendly and feeds 18 - 20 people without spending tons of money? (or how to not eat that food, and not offend anyone or starve? I'm really worried about the massive carb load, since they are traditionally the easy group foods to prepare)Thanks! Whoa... I didn't feel like anyone understood what I've been feeling for a while and your post made me feel a lot better. My hypoglycemia has been out of control lately and what's frightening is that eating doesn't help it. The shakiness, the mental slowdown, and the panicky feeling that something is very wrong has been getting worse and worse. I know it's diet/stress-related, but my problem has been motivation and making time to make positive changes. Thanks for the inspiration and the push in the right direction! Your Story has inspired me to take a look at what I eat and how I eat. I hope that I can start feeling better also. Thanks for sharing with us about your journey and how you have achieved feeling better! I am so glad to hear that you are figuring out what works for you, and on the road to health! I will continue to follow your journey and see where this takes you. It takes a lot of courage to say what you did, be proud of yourself! It's great you're finding something that works for you - I think this is key as every body has its own needs and we tend to forget that. What works for you will probably not work for me, etc. I'm sure this is making you feel in tune with your body like never before. Are you food journaling?I also totally understand the pressure behind dieting and being a food blogger (as I'm going through it myself) and it's easy to come to the realization that nothing is as important as my health and people will support me. Go Nicole!! What I find inspiring in your post is that you took the bull by the horns, so to speak, and persisted. It could not have been easy to keep at this day after day. I think there is a lesson here for trying to make any change---it's hard! I am so happy you are feeling better--that's the other lesson, I guess. When you do persist you conquer! Thank you so much for sharing this story. First, those parmesan crisps look DELICIOUS, so thanks for sharing that. Second, and more importantly, it's so good to hear you sounding so happy. I'm glad you've found a path that's working for you and making you feel great. Such wonderful news. I guess you won't be finishing the BBA challenge now, but it sounds like you've conquered a much more important challenge. Good work, Nicole! Nichole it seems you are on a great path! I love your website and have been following it for a while. 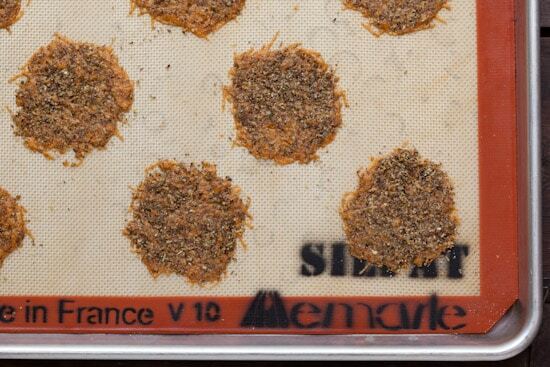 The Parmesan Crisps will be a hit! My husband and I have been on gluten free and metabolic foods since January. We have lost weight and retained muscle. We don't call it losing weight we call it fat loss! Check out Drs. Jade and Keone Teta from Winston-Salem, NC. Their book is international now. They truly have the answers "The New ME Diet". Also, many people have gluten sensitivity with some of the same symptoms you have experienced! http://www.metaboliceffect.com/ I look forward to your gluten free recipes! Take care! I've been gluten free due to Celiac Disease for about 3 years now. Obviously I'm going to feel better on a lower carb diet, but what's interesting is the number of people who seem to be going low carb or gluten free without necessarily have an allergy.One of my friends who is not a foodie, and has never been into dieting, started a low carb/high protein diet and said she has no plans to go back to eating carbs regularly again. It's just too hard to stay under your max calories. A few researchers recently suggested that the old calories in/calories out model isn't very accurate (Tim Feriss talks about this). Our bodies might process bread in a very different way than they process vegetables.It's just interesting. Like people are waking up out of starchy comas and realizing they could be living better. At any rate, welcome to the club (sort of). Thanks for sharing your experience. I really look forward to seeing more gluten free recipes. I have been contemplating this life style change for months now and I woke up this morning thinking it's time. Then I read your post and knew it's what I need to do. Thanks for the testimonial and encouragement to do something hard yet so worth it. I think I'm ready to dive in. Deep breath. Thanks again. Wow, I couldn't have said any of that better! I have recently adapted to this low carb lifestyle and cannot for the life of me believe how much weight I have lost! I feel great and I get to eat satisfying foods that used be "forbidden". i'm so happy for you! my fiance is on a paleo diet and it really is amazing how what you eat affects your mood! he had anger problems before and they are almost completely gone. i'm slowly (very slowly) easing into a paleo diet but it's hard! I understand what you mean about a baker who doesn't bake. About the only thing i can make is cake and cookies and now I am not supposed to. You might want to look into almond and coconut flour once you add nuts back in. They actually make great sups. Good luck! I can't wait to hear how it's all going for you. Nicole, congratulation on your newfound health and happiness! I've also started moving toward a more Paleo-ish diet and I also feel so much better. I eat a few whole grains sparingly, but I feel like I've finally found a way to eat that makes me feel good and breaks the cycle of craving unhealthy food.It can definitely be an expensive way to eat, and not being able to eat baked goods is hard. But reading about how healthy you are, it's obvious there's no going back!Very happy for you, and looking forward to reading more delicious recipes. I'm happy that you are sharing your story. Please continue to do so. There are many people out there struggling with the same issues. Hey. As for me and my house - we (ok I) will be even more interested to read your blog now! I have to practice some blog avoidance to NOT run into all those yummy recipes that will take us down the wrong roads. I will be looking forward to more delicious (and healthy) inspiration from you! What is sad is how easy it is to forget how AMAZING real, healthy clean eating generally is! I know from making your recipes that you already know what tastes good. And I will feel great knowing I am doing something good for my family too. I bet your blog takes off even bigger than before- there are so many people out there trying to do something better for ourselves. I wish you every success for your future - I can't wait to witness the ride! I'm glad you have found way to make yourself feel better. It is inspiring and I look forward to reading more! Thanks for sharing. I was noticing that your diet had changed. You may be giving up some things, but you will find new ways to create deliciousness. 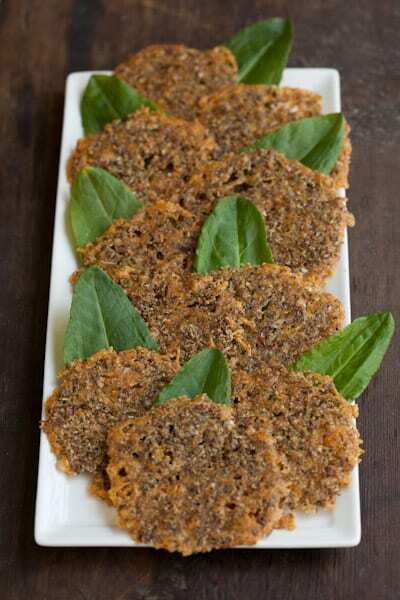 Like these Herbed Parmesan Crisps! It's great that you have taken control and figured out what to do for yourself and that you're now feeling better!! That's so wonderful!! I've been eating on what I call "my plan" for the past couple months... getting ready for summer. I don't call it a diet, because it's really not, it's just a healthy way to eat. I'm Italian and giving up pasta totally would be impossible, but seriously spaghetti squash has never tasted so good. With the right sauce on top and some parmesan, I'm 100% satisfied! I look forward to following you on your journey. Kudos to you for focusing on making yourself healthy. That is what's most important. And I've always loved your blog because you were about real food. My favorite recipes - you have posted about grilled whole chicken and grilled yellow squash and I've tried both recipes. They were great and among my favorites. I will definitely continue to follow you and devour your future recipes as well! These crackers look great! Congratulations on feeling better. My hubby has been following essentially your described diet for more than 5 years. He feels better, has maintained his 60 lb weight loss and is more healthy and active than before. I hope this diet continues to make you feel good! Thanks for the recipe - I will add it to our repertoire! I love this post. Not because I love how awful you have been feeling, or because life has brought you some mountains to climb, but because you are authentic & real, and that is so beautiful to me and touches me in an incredible way. Thank you for sharing with us your journey!! I LOVE that you have in fact made the choice to CLIMB a mountain and take care of yourself! This is such a hard thing to do....but you are doing it....and that deserves all the appluase in the world. I have to tell you too, that if you ever doubt what you are doing or are afraid you are letting your readers down, please don't. Honestly, even as a loyal blog reader of yours, I have to tell you that I hardly noticed a difference in your blog in the last 3 months because you are still sharing brilliant and delicious and unique recipes, and to me I think that is the heart of your blog. So keep it up! Climb on! I am rooting for you on this new life change and wish you much more good health and happiness from it! This post has inspired me to take a close look at what I am eating and really find out if it is causing the weirdo health issues I am experiencing. It is so frustrating to have symptoms that overtake your life and make you feel like you will never be "normal" again. So glad you were able to sort it out and that you feeling so fantastic. Power to you! I noticed a shift in your approach to writing and cooking, but I managed to miss this post which explained the reason:) I am cheering for you and I am happy that you finally found the way to cope with hypoglycemia. Our youngest was diagnosed with Type 1 diabetes when she was six, and we know hypoglycemia from another, really scary POV (she lost consciousness one morning when we were in Serbia, started convulsing, and I had to give her a glucagon shot, while my mom called the ambulance). I am just happy we live in this age and information is available to us. I am so proud of you for finding a solution for your health problems - a lot of people just ignore them:( Your blog has always been one of my favorites, and as I don't bake often, I will not miss the cupcake and cookie recipes:) As for the parmesan crisps, I am passing the recipe to my daughter in Berkeley, who burns cheese on purpose to eat it later:) And yes, I buy my Parm ad Costco, too! LOVE it! What a wonderful story to read, in every aspect. I feel you in so many ways. While I didn't usually get shaky or have specific hypoglycemic reactions, bread, sugar and pasta give me HORRIBLE mood swings, usually a day or so after I eat them. I've gone through phases in my adherence to eating well, and am getting back on track after a roller coaster of two years. I seem to do well with whole grains and beans, but after reading this might re-test that! Thank you again and keep sharing! This is why I read blogs: to read something real and interesting about the person behind it. Thank you for sharing this. I can't wait to read more about your journey. Hi Nicole!,I am sorry to hear about these health issues, but it really seems like you have a handle on it. The Atkins diet is a great plan and I was on it when I trained in competition fencing and it kept me nice a lean and really mean! (for the sport that is!) The hardest part is the sugar and flour baked goods, but after a time you will not notice any kind of food struggle in your live, because you will be eating the best that you can be! I did alter my diet early on with green leafy spinach there was a need for fiber move the bulk of the protein out of the body,. The only real issue is ketosis and overloading the kidneys, but you are sounding like a master dietician at this point and you will be fine. I am sure all of us here support you and are rooting for you! I haven't been on my own or other blogs for months. I was amazed when I read your post. I felt like I was reading my own recent life in many ways. I've been off my blog because I've been dealing with health issues. Mine are different than yours but I also changed my way of eating and am feeling wonderful. I also wondered how to approach my blog now and am getting ready to tackle it with changes. I give you so much credit for what you're doing--you'll be an inspiration to others who might sometimes feel all the foodies can eat anything. Well, no, not all foodies can. Great to read your story. I'll be following your site with even more interest than before. Wow, what a story! I'm so glad you found something that is working for you. It sounds like you've had tremendous willpower and a desired to just be healthy and happy. Good for you! I go through periods of time where I'm so good about diet and usually always pretty good about exercise. But there are so many things that trigger a "relapse" for me... sweets, bread, cereal, alcohol! It would be good to just give much of it up forever. We'll see. Congrats on your journey. Wish you were around here so I could see the new, skinny you! I am so glad to hear that you have found a way of eating that is making you feel better! It is transformational to finally figure out what works after struggling for so long. I too have undergone a massive diet change in the past 6 months, going vegan and gluten free for health reasons. It has been an interesting and challenging journey to say the least. I look forward to reading what comes next for you! Glad you figured out what works for you food wise. Finding what works for you is the hardest part. Much continued success.Okay, parmesan crisps ... since I have a dairy allergy, cheese crisps, among other things, aren't part of the course. But, I'll have to give it try. I'll let my family members to eat most of them. Finding what makes you feel good takes some time, I gave up meat (not fish) last year and it has really worked for my body and makes me feel good. It's amazing how what we put in our bodies has such an impact on us, physically, mentally and spiritually! !Kudos to you for being strong, taking the plunge and sticking with it. I am happy you are regaining your health, that is what's most important. So is feeling good!!! Looking forward to seeing what you cook up!Change can be such a good thing when its the right kind of change! OH...and these crisps look awesome. I really love that you added the flax meal to it! I have never commented on a blog, website or anything for that matter. Thank you for sharing your struggle. There are many of us who are trying to balance our love of baking and cooking with what our bodies need. I will be back... regularly. I look forward to more from you. Wow, these are beautiful! I'll have to try 'em out and share 'em with the low carb community at my blog. Your photography is stunning. :) I just wanna reach through the screen and grab one! Wow...I'm so excited and surprised to see another food blogger going through this. I really didn't have health issues per se...but did want to lose 20 lbs and have more energy. Like you I had always eaten REAL, whole foods and thought nothing could be wrong with my fruit, beans and whole grains. I even have a grain mill where I freshly grind my whole wheat flour.BUT when my hubby started up with low carb & Atkins (like you...I cringed thinking about it because I had not been well informed in the past), after a couple weeks I figured it would be good to learn more about it to support him. Plus, he'd come in the room and told me, "Hey...this is the way you eat" so I was intrigued.I challenged myself to do the 2 weeks Atkins induction & then felt so good that I didn't stop. I lost 9 lbs in the last month. :) I'm excited about this new way of eating because if anything...I've fallen MORE in love with veggies than ever. Things I didn't think I liked or thought was bland (zucchini, squash, celery, etc). Hard to believe eating low carb can eliminate cravings for bad stuff, and I feel satisfied all the time. No hunger!! I have to remind myself to eat. LOL! !Hope you'll stop by my blog...I wrote a couple posts on low carb eating since I have overhauled my way of eating. And like you, I was a bit nervous about sharing on my blog. I have a low carb cream cheese pancake there that you would probably love. I eat it with organic berries to help sweeten it up a bit.THANKS for sharing!!! I loved your story & will be a frequent reader. Made these a few days ago and they were so yummy! Husband said they tasted like little pizzas. I'm a vegetarian and flaxseed is one of the few meatless sources of omega3s, so it's a good thing for me to have in my diet. Thanks for sharing. Reactive hypoglycemia - hit me hard many years ago and I was lucky enough to have a good doctor who balanced teaching with scolding and never stopped researching the literature for me. At the time, my father was fighting leukemia and there wasn't a lot of help or support from the rest of the family. I was 1 1/2 hours away from him and spent a lot of time running back and forth or simply worrying about the situation. My solution: 1. protein, fiber and carbs in every meal and snack 2. eat something in the morning, even if i was busy or nervous 3. learn to drink skim milk - it provided protein when i was on the run 4. ignore food "rules" such as eggs only for breakfast or fish only for lunch/dinner Of course, good choices, portion sizes, exercise intensity were important too, but I needed to break the cycle of fasting then eating so I could take better care of Dad and myself. It's been 20 years and the strategies I learned back then have served me well. I rarely have problems with blood sugar and have maintained a reasonable weight the entire time. I just stumbled across your blog and I am so excited to read it! I am on a similar journey with my cooking, trying to eliminate refined sugars and go as low as possible on the carbs in general. I've been making my own bread with different flours and cutting way back in general on bread, pasta, etc. I'm looking forward to more recipes! Thanks so much! Just found your blog. Thanks so much! Our stories are so similar. I just started about five days ago and already feel different. I hope u share recipes... I need help with it. I am hoping my whole family can do this with me. I have two boys. One has a carb sensitivity one does not. Do you know any sites on how it will work for kids? I don't want to do anything to harm them but the way I see it...I may have been all these years. These are outta this world! Made a batch yesterday & another today. My husband loves them, too! Read this post with excitement. Would love to send you samples of some of our "dessert" or baking products for you to sample... we have many hypoglycemic and diabetic people using our products for years - managing to normalize their blood sugar and hunger levels while maintaining the excitement of still eating some of of their old favorite types of delicious desserts and snacks. We have a unique sweetener blend that is all natural - not stevia - combined with an all natural prebiotic fiber blend that has been shown to reduce digestive symptoms and help control irritable bowel disease in clinical 6 week studies. It actually doesn't matter whether its a dessert or a main course - its just good food that is nourishing and healthy! We were Atkin's largest 3rd party vendor and are mentioned several times in their latest cookbook just out. Please feel free to let me know where I can send you these samples. You can bake again...It is for folks like you that Dixie was "born". So glad that you are doing better with your health by eating low carb. Lets pray others discover this also and realize that Bob Atkins was right about so many health issues. A friend cooked these for me the other day. I absolutely loved them and had to have some more. Congratulations! I made the switch to low carb on a full time basis last March. I couldn't have done it without all the helpful websites and blogs with remarkable foods, including baked goods, like angel food and cup cakes, pies, tarts, etc. Two of my favorite food blogs are All Day I Dream About Food- Carolyn Ketchum (who is diabetic and cooks appropriately), and Maria Emmerich-mindbodyhealth.com. I can't wait to see what recipes you come up with for baked goods too! 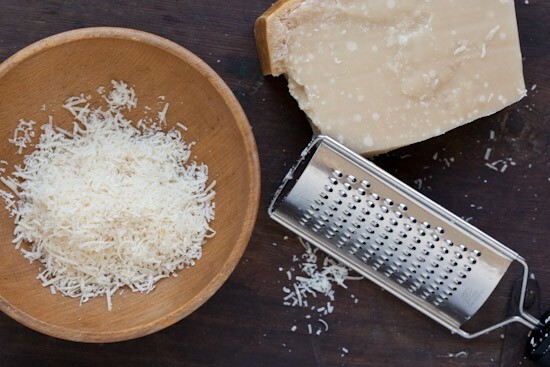 Would it affect the taste if I use Romano cheese instead of Parmesan? This would definitely go well with roasted tomato basil soup. Another recipe in my to-do list.